AaCount - AaCount: count aloud exercises. · Squats, push-ups, sit ups, bend etc. 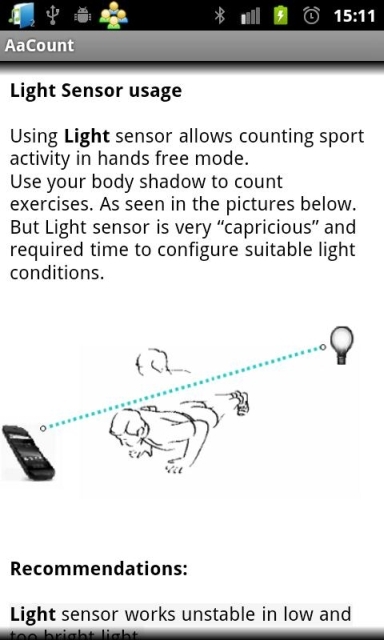 Using Light sensor allows counting sport activity in hands free mode. Use your body shadow to count exercises. But Light sensor is very “capricious” and required time to configure suitable light conditions. Light sensor works unstable in low and too bright light. Works stable with artificial lighting than under sun. Your shadow must have clean edge to stable work. Use hand to check counting in Light mode. Use your body shadow to count exercises. Use it when there are no good light conditions. On Nexus S recognized distance about 1 inch. 1. Counter. Click on it will reset counter. To activate Proximity or Light sensor click on it. Active sensor will be highlighted. 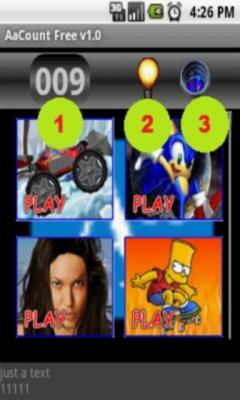 There is possible to configure Silent Mode. 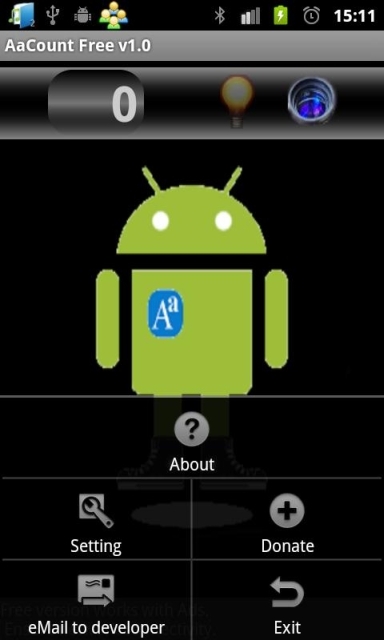 Upon inactivity timeout expired AaCount will free used system resources and exit to save battery power. Use it for feedback, suggestion and bug report. This is preferable way to contact. It will collect all information needed for troubleshooting. · Corrected issue when TTS is not present. A power efficient pedometer that counts your steps, calories and distance in the background. Uses very little battery. Alpha release!